The U.S. Navy has awarded Leidos a potential five-year, $26 million contract to design a medical and simulation research model for the Navy’s scientific data analysis efforts. 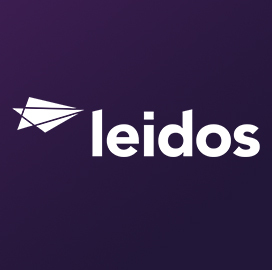 Leidos said Thursday it will aid in the Naval Health Research Center’s work to collect identify, analyze and report data. The company will perform work in San Diego under the follow-on contract for a base period of one-year and four potential option years. “Supporting the Naval Health Research Center with its analysis of medical and scientific data will help ensure the mission readiness of our military personnel, and we are proud to continue this important work,” said Jerry Hogge, deputy president of Leidos’ health group. Data will come from the Expeditionary Medical Encounter database, the Military Health System and the Department of Veterans Affairs.